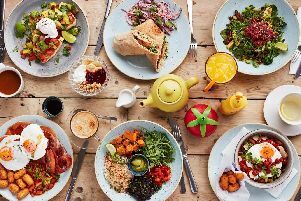 Olive is the latest independent restaurant offering along Ecclesall Road, and a welcome one too. Run by two brothers from Morocco, it specialises in Mediterranean cuisine, including mainly Italian and some Moroccan dishes. Try the champagne chicken - soft poached chicken topped with crab in a creamy sauce that has Moet and Chandon champagne in it - or the huge lamb served in a traditional tagine. There are plenty of traditional Italian dishes to choose from as well as specials that change regularly.